“The Four Elements of a Bodhisattva’s Social Relations” is perhaps my second favorite among Dōgen’s writings, right after the “Eight Things Great People Awaken To.” Both give clear direction about how to live our lives. This is something I need on a daily basis. Maybe you do, too. The four elements are often regarded as methods for leading others to the dharma through our actions and speech. Okumura Roshi takes this view in his commentary and I encourage you to look into that. However, the elements can have another use. They can guide our lives. I think Dōgen would agree that if we can take care of our lives, we will naturally guide others to the dharma. So – my focus is on how to practice in this body, trusting that this will also guide other beings. Having said all that, let’s get on to the four elements themselves. – donation, loving speech, beneficial conduct, and identity action. That these four elements go all the way back to the beginning is not surprising. Being generous, using respectful words, acting in ways that promote wellbeing, and being nonjudgmental and cooperative are the binding energy in human relationships. They are what hold us together like gravity holds us to the earth. Unlike gravity, this energy must be constantly tended or it weakens and fails. It can grow as weak as rusty iron in a linchpin holding on a chariot wheel. Then it breaks, leaving our relationships in pieces just like the chariot. This energy and its cultivation are necessary to our lives. We can’t provide the essentials for our lives without community and communal effort. We need to work and exist together, and to do this we need help, acknowledgment, support, and trust from others, and they need that from us. If these four elements aren’t strong, community disintegrates into alienation and distrust. If we are to be together, donation, loving speech, beneficial conduct, and identity action are essential. Dōgen’s instructions for tending our community’s bonding energy are clear and simple. We give to others, speak with a kind heart, act to benefit ourselves and others, and cooperate with each other. However, they are not always easy or pleasant to follow. And the way forward is often not clear. What is loving speech when we must point out transgressions like abuse of power or theft, knowing our words will cause discord, pain, and perhaps lasting damage to our community? Should we offer money to homeless people, not knowing how they will spend it? What do we do when our actions will benefit some but hurt others? How do we act together with people whose words and actions are repugnant to us? These questions are a good place to begin to wade into Dōgen’s thoughts. Let’s start by looking at what he means by offering. Dōgen takes giving in an interesting direction, doesn’t he? For him, the first thing we can offer is our lack of greed. It’s also the foundation of authentic giving. Dōgen’s “offering” is a translation of dana or fu se布施in Japanese. Technically, fu se is giving to the sangha. Fu is cloth. Se is to give or donate – so the literal meaning is “donating cloth,” which comes from its original use in the sangha of the Buddha’s time when people donated cloth to the monks and nuns to sew robes. Fu se or dana later came to mean freely giving with no expectations, in the way that the early laity offered cloth to the monastics. 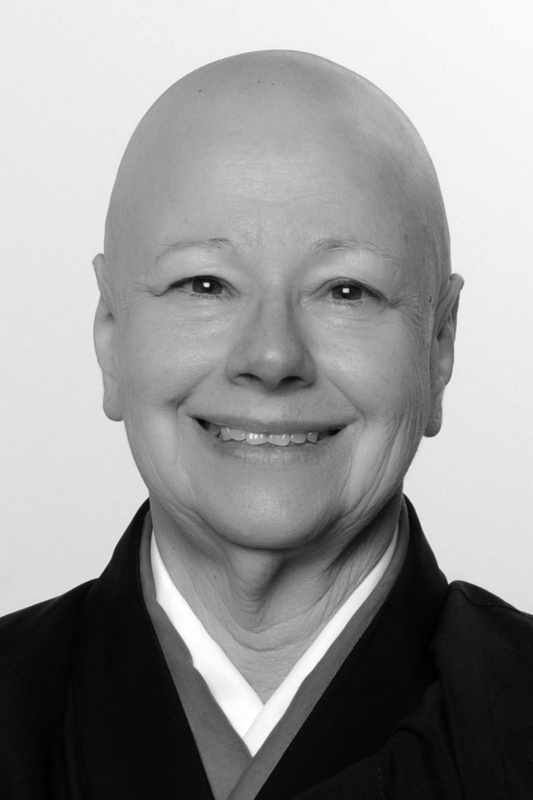 Dana is also one of the Six Paramitas. When we think of offering or freely giving, we usually think of actively contributing an afternoon helping build a Habitat for Humanity house, some money to an animal shelter, winter hats to schoolkids. Offering for us is an active transaction in which things flow. There is a giver, a receiver, and a recognizable gift. For Dōgen, it’s not this at all. Dōgen tells us that offering means not being greedy, not coveting. We are content with what we have and we don’t desire things that we don’t have. We know what we need and we’re satisfied with that much. If we don’t have as much as we need, we are content with that, too. We make an effort to get our needs met in the way of food and such, but we don’t envy those who have more and obsess over our situation. We are awake, seeing that only we can give ourselves contentment and a sense of satisfaction and we don’t seek extensively outside ourselves for something to fulfill us or give us purpose. We know who we are and we’re good with that. We don’t need status and stuff to reassure ourselves that we’re worthy. This means that we don’t court favor. We don’t seek approval, power, or material goods from others. We don’t warp ourselves and damage others by manipulating them and ourselves so they’ll give us power, approval or whatever else we desire. We already know that when we get whatever, it won’t be worth it. We leave others alone. We let them live without having to guard what they have from our grasping impulses and fingers. We don’t disturb their minds and hearts by plying them with our false words and actions, seeking to get our desires satisfied. We allow others the same satisfaction and contentment that we build for ourselves. Doing this, we offer life and peace. In the process, we give ourselves life and peace by ceasing to compare reality with our ideas then being discontent and frustrated over what we thirst for but don’t have. Truly, not being greedy is a boundless and magnificent offering to all around us, including ourselves. Not being greedy and not coveting is the foundation of our usual generosity. If we’re not deeply attached to what we have, we can part with it when someone else needs it more. We can freely and easily give an hour to a project, a few dollars to someone who needs them, or an accepting ear to family. We also don’t hold tightly to our ideas. This allows us to plan together with others, pointing out the shortcomings of various options and working together to make them stronger rather than destroying all the ideas on the table and ending up with no plan. We all fare better when greed and covetousness don’t interfere. In his next words, Dōgen begins to address our usual view of offering. It is like offering treasures we are about to discard to those we do not know. We give flowers blooming on the distant mountains to the Tathagata, and offer treasures accumulated in past lives to living beings. Whether our gifts are Dharma or material objects, each gift is truly endowed with the virtue of offering or dana. Even if this gift is not our personal possession, nothing hinders our practice of offering. No gift is too small. But our effort should be genuine. He invites us to begin with easy stuff. Instead of throwing out those old things we don’t use anymore, can we offer them to others. We can clean out our closets and workspaces and take all that stuff to our local thrift store. We can even just put them out on the sidewalk with a sign saying “Free to whoever want this” on them. In our neighborhood, where there are many poor children, there are little free libraries in some front yards – places where people put kids’ books they no longer want for other kids to read. In our kitchen, we put tea bags and vegetable scraps in a container to offer to the bacteria and worms who make compost. Dōgen says we can offer flowers on distant mountains to the Buddha. I don’t think he means for us to go to the mountains and pick the flowers. We offer them right where they are. Growing on the mountain, they are whole and the beauty of their life pervades the universe. Then they are truly offered to the Tathagatha – to awakening and to the reality of this life. We offer what is already part of reality to reality. We can offer treasures accumulated in past lives to living beings. Anyone who has moved after living in the same place for many years will instantly understand this. Many things in the garage and attic can’t come with us. Being content with what we need, we can give that picture we no longer enjoy or that extra set of wrenches to a neighbor or friend who can use them. This is true, too, as we age. We have many treasures with sentimental value but no real purpose in our lives anymore. Why not loosen the bonds of attachment and send them on to others who can use them and will also treasure them? And we can offer what is not our personal possession to others. This is surprising at first. We may reply to Dōgen, “Dude! Are you asking me to steal? !” However, when we think about it, it makes sense and there is no theft involved. Actually, nothing is our personal possession. It comes from emptiness and, having been here for a bit, it returns to emptiness, continuing the functioning of this vast reality. We can see this even with our most intimate possession, our own bodies. Though healthy living helps, we do not control whether our back goes out, we get old, or we die. Whatever we offer is not really ours. Now that we’ve said that, how about offering a cup of coffee from the restaurant’s pot to the person you’re having lunch with? This is a more everyday way of offering what’s not ours to begin with. At teatime here we regularly pass the tray of treats, offering the temple’s food to the temple’s members and to the whole universe. No gift is too small. Seeing a need, we give whatever we can – an encouraging word, a moment of help, a dollar, or a can of beans. When many of us offer small gifts, they become an ocean of giving, taking care of great needs. Sometimes smaller is better – grand gifts can overwhelm the recipient. Basically, our worries about size come down to our thought that larger gifts bring us more recognition and make us feel good. When we stop looking to those things for our sense of worth, we’ll stop worrying about the smallness of our gifts. Then, each of our gifts will be fully endowed with the virtue of offering. And our effort will be genuine. We’ll offer by simply putting our bit out there with no expectations. Our effort will come from our connection with reality and our concern for the benefit of all things. We see that others and ourselves are the same thing – identical – and that to offer to others is to offer to ourselves. We stop thirsting and grasping and just give what is not ours where it seems to be needed. i Okumura, Shohaku, “Shobogenzo: Bodaisatta Shishobo – True Dharma Eye Treasury: The Bodhisattva’s Four Embracing Actions,” Dharma Eye, numbers 12 – 19 (August, 2003 – March, 2007), published by Sotoshu at http://global.sotozen-net.or.jp/eng/library/journal/index.html. ii See the fine translation in Gudo Wafu Nishijma, and Chodo Cross’ Master Dogen’s Shobogenzo (London: Windbell Publications, 1997) vol. 3, p. 29.
iii For a much more thorough account, please see Okumura Roshi’s excellent commentary in Dharma Eye. iv Bodhi, Bhikku, tr. The Numerical Discoourses of the Buddha (Boston: Wisdom Publications, 2012), p. 419-420.
v Okumura, Shohaku, “Shobogenzo: Bodaisatta Shishobo – True Dharma Eye Treasury: The Bodhisattva’s Four Embracing Actions – Lecture 1,” Dharma Eye, no. 12 (August, 2003) at http://global.sotozen-net.or.jp/eng/dharma/pdf/de12/de12_10.htm.